The first in my new category of bite-sized Barcelona restaurant reviews is, appropriately enough, a tapas restaurant. Well, almost. La Taverna del Clínica, (C/ Rossello 155, +34 93 410 4221) is so-called because it looks out onto the Hospital del Clinic in the left Eixample area of Barcelona. I’ve been back to La Taverna many times over the years and I’ve never been disappointed. It doesn’t serve traditional tapas but a list of ‘mini-plates’ of its specilities. The menu in English is a bit of a disaster (shameless plug: they could certainly use my menu translation service) but you get the general idea. It’s far from cheap and there’s no lunchtime menú del día, or at least there wasn’t last time I visited. The wine list is excellent and they have good beers on tap. so you can easily run up a hefty bill here. It’s worth it. This is extremely good cooking with service to match. I urge you to try their version of patatas bravas which is a fun twist on the classic flavours and to not miss the oxtail stewed in Priorat wine which is a deep, dark plate of meaty magnificence. You won’t go wrong whatever you choose: it’s good across the board, including the desserts. There are a couple of covered tables outside on the street and not much traffic, making La Taverna a decent outdoor option unless the weather’s too hot. IMPORTANT NOTE. This place is very small, and very busy. Book ahead or you will have very little chance. At the very least, ring ahead to check. 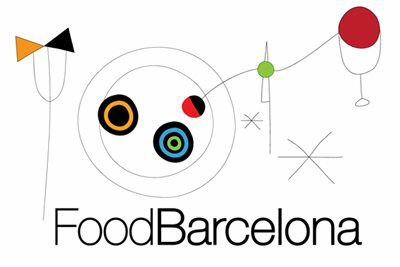 Unlike most Barcelona restaurants, they’ve joined the 21st century and have functioning Twitter and Facebook pages which you can find from their website.